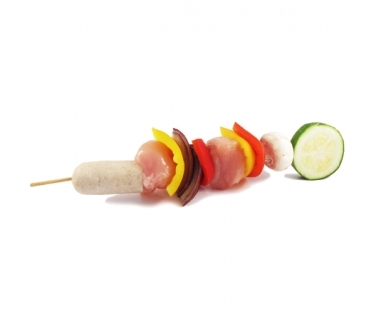 Our chicken kebabs are prepared fresh in store everyday with the finest indgredients. They are perfect for home cooking or the BBQ and are a family favourite all year round. Grilling or baking on a tray in the oven fuses the flavours of the chicken and vegetables together, creating a mouth-watering meal on a stick. Ideal for parties or a quick snack. Delicious!